As the weather warms up, many people like to play sports, ride bikes, and participate in other outdoor activities. Unfortunately, bikes, sports equipment, and other items often become very disorganized during the months that they are not in use. 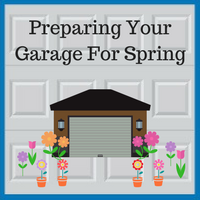 While getting your garage organized may seem pretty daunting at first, there are several easy ways to put your garage in order. First of all, if you do not have enough floor space to store balls, you can consider building a bungee cord storage solution. All you need are a few bungee cords and two square frames. Mount the frames to your garage wall and hook the cords to the frames, and you will have a secure way to store balls or other equipment. Other great ideas include using laundry bags or duffle bags to store sports equipment, mounting a corkboard on the garage wall where equipment can be hung, building shelving units, and hanging bicycles, tools, or other equipment from wall and ceiling hooks. To keep pests out of your garage, it is a good idea to spray organic pesticides around the inside and outside baseboards of the garage. If the seal on the bottom of the garage door is cracked or missing, this may allow bugs to enter the garage, so be sure to repair or replace any faulty weather stripping. In order to keep bugs and flies at bay, it is important to make sure all food and garbage are kept in properly sealed containers. It is also a good idea to store all items off the ground to ensure that they are not ruined by pests. Many people store fertilizers and herbicides in their garages, as well as other dangerous, combustible items, such as paints, solvents, gasoline, antifreeze, windshield washer fluid, and brake fluid. These products may be a fire hazard if they are not stored properly, so it is very important to keep them in their original containers and away from any sources of flame. It is best to only buy as much of these products as you need, decreasing the likelihood of having to dispose of these products at a later date. You can always count on Blue Sky Builders to answer your questions about how to get your garage ready for the spring. 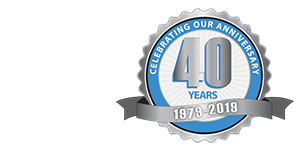 For over 39 years, we have provided top quality service to our clients, providing expert advice on their various garage projects. If you want to know more about how we can help you create the ideal garage this spring, please contact us at 630-852-8485 today. To view some examples of our work, please visit our gallery.